This widget is quite valuable if you have a long form, or you need your users to ensure that they have completed the form. 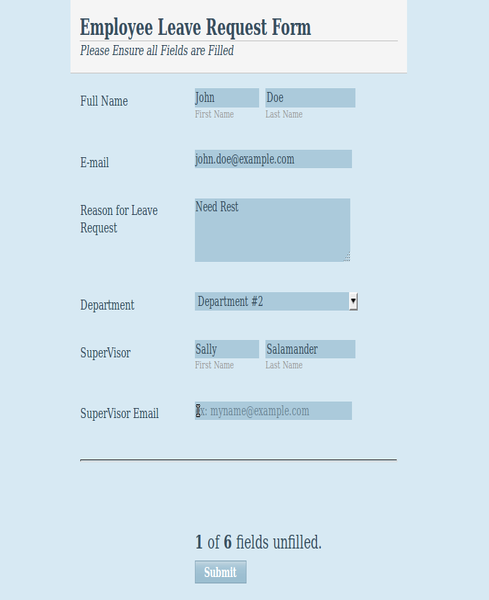 The widget automatically checks the status of all the fields on your form and reports how many are yet to be filled. 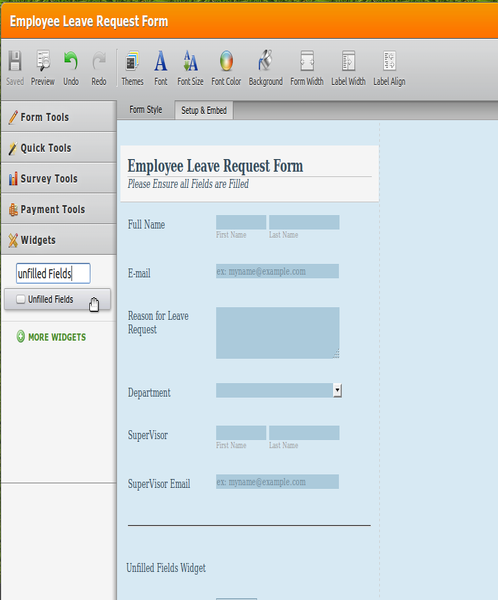 The widget requires no further configuration once you have added it to your form. Where you place the widget, a message will be displayed to your users, advising them on how many fields there are on the form and how many are yet to be filled.